Rebecca Romijn and Jerry O'Connell Step out With Their Twin Daughters — See the Pics! Rebecca Romijn and Jerry O’Connell Step out With Their Twin Daughters — See the Pics! Rebecca Romijn and Jerry O'Connell's kids are getting so big! The couple stepped out with their eight-year-old twin daughters in NYC on Sunday, Feb. 19 — and we can't get over how grown up Charlie and Dolly look in the new pics! MUST SEE: Jennifer Lopez Shares a Cute New Photo of Her Twins — See How Grown up Max and Emme Look! Over the weekend, Rebecca, 44, and the girls supported Jerry, 43, during his one-night Broadway concert performance of the Tony-Award winning musical Crazy for You. Jerry, Rebecca, Charlie, and Dolly in February 2017. "Congrats to [Jerry] — last night at Lincoln Center. #CrazyForYou," the actress captioned a sweet family photo of herself with Jerry, Charlie, and Dolly after the show. "What a beautiful family," one of Rebecca's nearly 89,000 followers commented on the cute pic with another adding, "You guys are too cute!" MUST SEE: Jerry O'Connell Addresses Rumors He'll Be Kelly Ripa's Permanent Live! Co-Host — See What He Revealed! Jerry and Rebecca previously welcomed Dolly Rebecca Rose O'Connell and Charlie Tamara Tulip O'Connell in December 2008. The couple tied the knot in July 2007. The duo named Dolly after iconic country singer Dolly Parton and Charlie after Jerry's younger brother, actor Charlie O'Connell. Rebecca, Jerry, Charlie, and Dolly in May 2011. 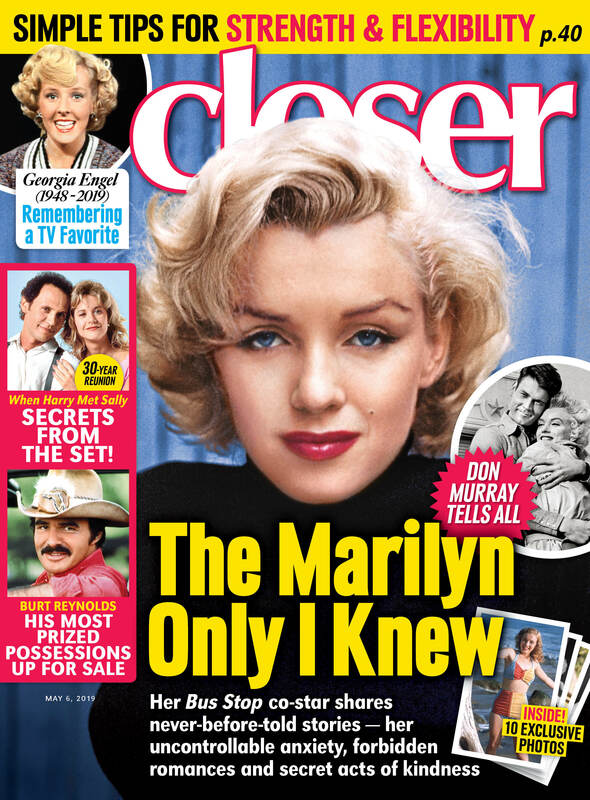 In a recent interview with Closer Weekly, the actor joked about divorcing Rebecca after almost 10 years of marriage. "We have a crazy household with our kids and our three dogs. Our house is so crazy that we just don't want to get divorced right now because neither one of us wants to end up with our kids and our dogs," Jerry quipped. "We realize it's a team effort and there's no way we can do it on our own right now!" he added. Too funny! While speaking with Closer, Jerry also dished on whether he and Rebecca plan on welcoming any more children into their family in the future! "I don't think that's happening. That has to be a group decision. I will say this, our kids are eight and I would not mind having a baby around. When I see a little baby I really get that baby itch. They are so cute, but I just don't see it happening," he said. Click through the gallery below to see more stars who have twins! Knox Léon and Vivienne Marcheline Jolie-Pitt were born on July 12, 2008, in Nice, France and instantly became the most famous celebrity children in the world. The now nine-year-old twins are Brad and Angelina's fifth and sixth children — the couple is also parents to sons Maddox Chivan, 16, and Pax Thien, 13, and daughters Zahara Marley, 12, and Shiloh Nouvel, 11. The rights for the first images of Knox and Vivienne were jointly sold for a reported $14 million — knocking the photos of Jennifer Lopez and Marc Anthony's twins down the totem pole for the most expensive celebrity pictures ever taken. The proceeds were donated to the Jolie-Pitt Foundation. Céline had twin boys, Eddy and Nelson, on Oct. 23, 2010, after she and her late husband, René, experienced six former attempts at conceiving via in vitro fertilization. The boys are named after Céline's favorite Algerian songwriter Eddy Marnay and former South African President Nelson Mandela. The twins joined older brother René-Charles Angelil, who was born in January 2001. Zoe and her hubby welcomed twin sons, Bowie and Cy, on Nov. 27, 2015. The couple are also parents to a younger son, Zen. The singer and former America's Got Talent host welcomed twins Moroccan Scott Cannon (aka "Roc") and Monroe Cannon (aka "Roe") on the couple's third wedding anniversary, April 30, 2011. Their son is reportedly named after the famous Moroccan Room in Mariah's lavish NYC apartment. His middle name, Scott, is Nick's middle name as well as his mother's maiden name. Monroe was named after Marilyn Monroe, who Mariah has publicly called her inspiration. On Aug. 14, 2010, the How I Met Your Mother actor announced he and his partner David were expecting twins via surrogate. Gideon Scott, a boy, and Harper Grace, a girl, were born in 2010. The Oscar-winning actress gave birth to twins Hazel Patricia and Phinnaeus "Finn" Walter* on Nov. 28, 2004. Julia and her cameraman husband, Danny, later welcomed another son named Henry Daniel in June 2007. After marrying longtime friend Marc in 2004, J.Lo gave birth to twins Maximilian David Muñiz and Emme Maribel Muñiz on Feb. 22, 2008. The twins made their public debut in a March 2008 issue of People, for which the magazine paid a reported $6 million. The coveted photos of the twins became the most expensive celebrity picture ever taken at the time. Both onscreen and off, Modern Family matriarch Julie is a mother-of-three! The actress gave birth to twin boys John and Gustav in 2009. She and husband Scott, a real estate investor and software developer, also have an older son, Oliver, who was born in 2007. The X-Men star gave birth to twin daughters Dolly Rebecca Rose and Charlie Tamara Tulip on Dec. 28, 2008. The girls are named after singer Dolly Parton and Jerry's brother. SJP and Matthew welcomed twin girls, Marion Loretta Elwell and Tabitha Hodge, via surrogate on June 22, 2009. The couple had been married for 12 years when their daughter-duo was born and have a son, James Wilkie, who was six years old when his sisters arrived. Best known for her role as Bree Van de Kamp on Desperate Housewives, Marcia and her stockbroker husband welcomed fraternal twin daughters, Eden and Savannah, on Feb. 20, 2007.